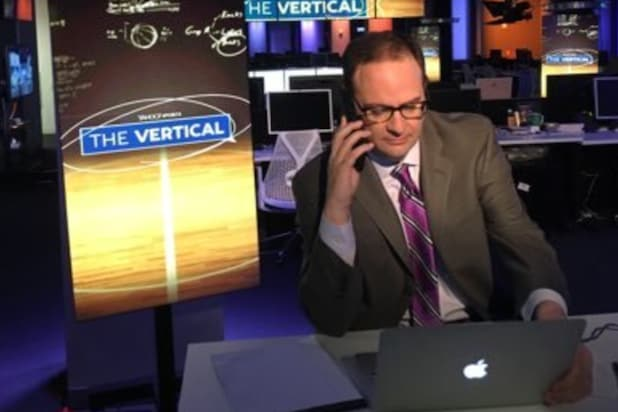 NBA “scoop machine” Adrian Wojnarowski is close to leaving Yahoo and signing with ESPN, according to Deadspin. Citing “multiple sources,” Deadspin reports that Wojnarowski will land at ESPN despite being in the middle of a four-year, $6 million dollar contract at Yahoo. Wojnarowski is among the most respect NBA reporters in the industry and breaks essentially every major offseason transaction. According to Deadspin, he could bring some of his colleagues from Yahoo’s NBA domain, “The Vertical,” with him to the World Wide Leader. Yahoo did not immediately respond to TheWrap’s request for comment. ESPN declined comment. According to Deadspin, “Wojnarowski’s exit from Yahoo is complicated” and will “likely take months to fully sort out.” Citing a source, the site reported that the method in which Wojnarowski will break his contract with Yahoo is currently unknown. Landing Wojnarowski would be a huge get for ESPN, which has recently lost high-profile names such as Colin Cowherd, Bill Simmons, Mike Tirico and Skip Bayless. Earlier this week, Walt Disney Company reported revenue that fell short of expectations, with ESPN being a major reason why. 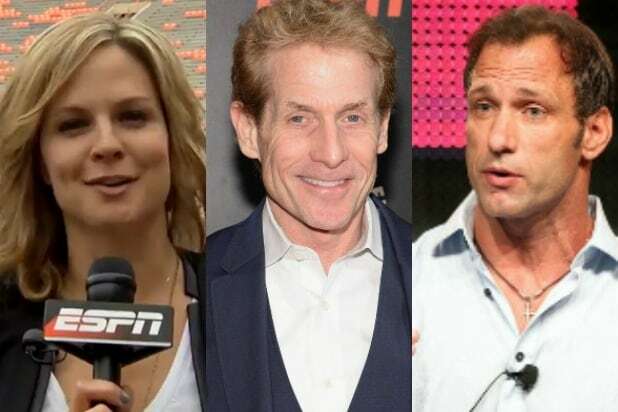 As cheaper TV alternatives began to proliferate, ESPN hemorrhaged subscribers during the course of 2016 and is now at less than 88 million, compared with a peak of 100.1 million in 2011. At an estimated $7 per subscriber, that dip has been a substantial hit to Disney, especially considering media networks made up 49 percent of Disney’s profits during fiscal 2016. Adding Wojnarowski could help lift the network’s NBA product, as he would be a valuable asset to game coverage and ESPN airs plenty of NBA content, in addition to holding rights fees. Wojnarowski is not simply a reporter and hosts a popular podcast which would presumably translate to a prominent on-air role at ESPN.